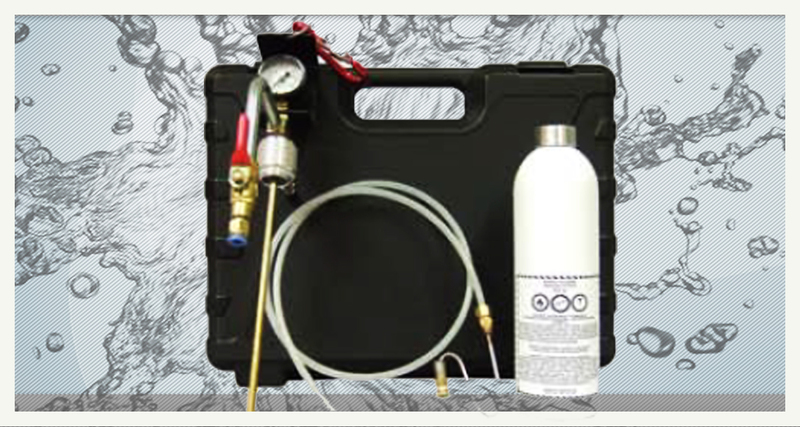 The Heavy Duty De-Carbonizer is designed specifically for electronic fuel injection (EFI) and direct injection (DI) systems. 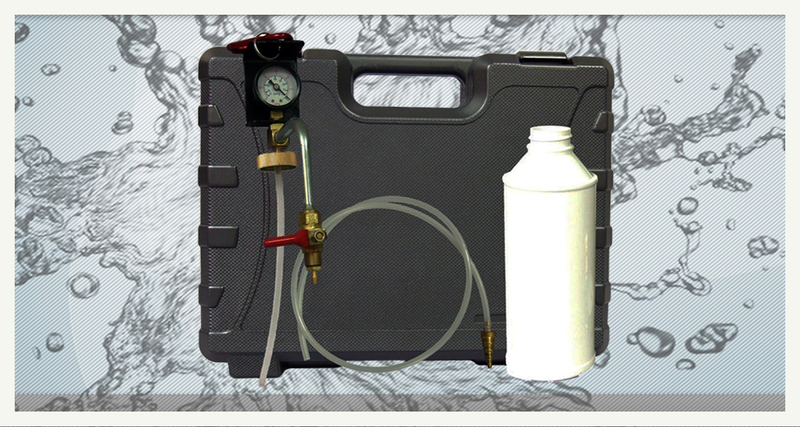 Cleaning fluid is pressurized using your shop air compressor.This creates a spray pattern that emulates a fuel injection system. The technician is then able to control both the rate of flow and the speed of the engine during the cleaning process. 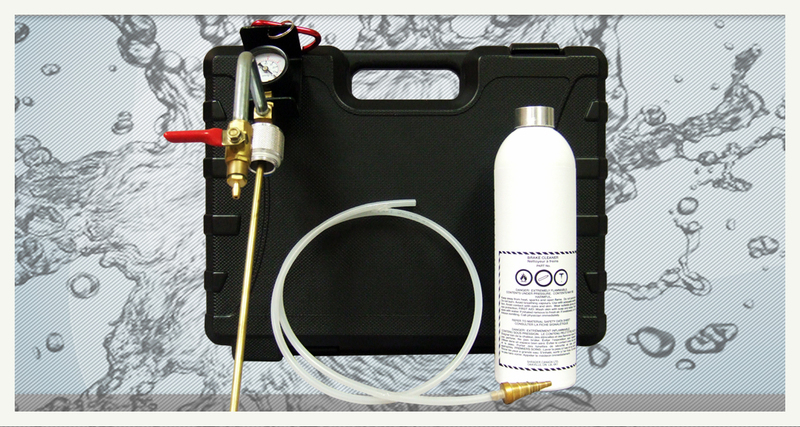 The Light Duty De-Carbonizer is designed to provide a atomized cleaning fluid for electronic fuel injection (EFI) and direct injection (DI) equipped vehicles. It allows the technician to control the speed of the engine but not the flow of the cleaning fluid. Carbon deposits are a by-product of the combustion process. If left unchecked, they can accumulate in the combustion chamber and cause the compression ratio to increase and to form hot spots, conditions that can cause engine knock (pinging) and in the long term lead to sever engine damage. Developed for carburetor, throttle body and centrally injected fuel systems. It is specifically designed to enter the intake manifold as a liquid. The flow of the cleaning fluid and the speed of the engine are controlled by the technician. 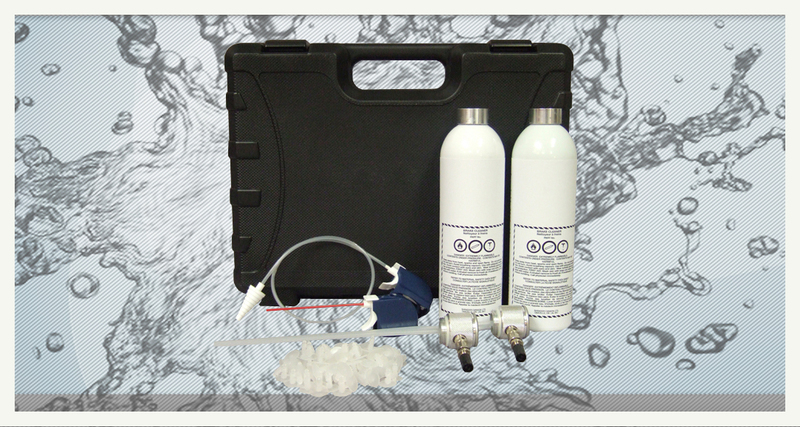 The kit includes a refillable canister for bulk products. 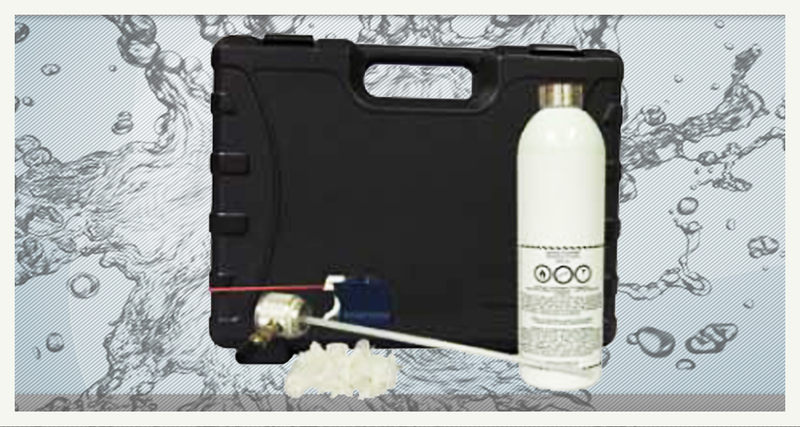 The De-Carbonizer Pre Packaged tool is a vacuum based carbon deposit cleaning system specifically designed for pre packaged plastic bottles (33mm opening). Developed for carburetor, throttle body and centrally injected fuel systems. The technician is able to control the flow of the cleaning fluid and the speed of the engine during the cleaning process. Carbon formation in the combustion chamber is not only a by-product of incomplete burning of the gasoline it is also the result of the introduction of other contaminants into the combustion chamber via the PCV valve. Moisture, oil and gasoline vapours siphoned into the intake system and rerouted to the combustion chamber are also a major contributor to the rapid formation of power robbing carbon deposits. The pressure based air intake cleaner is designed to properly atomize cleaning fluid and delivers optimum cleaning performance. 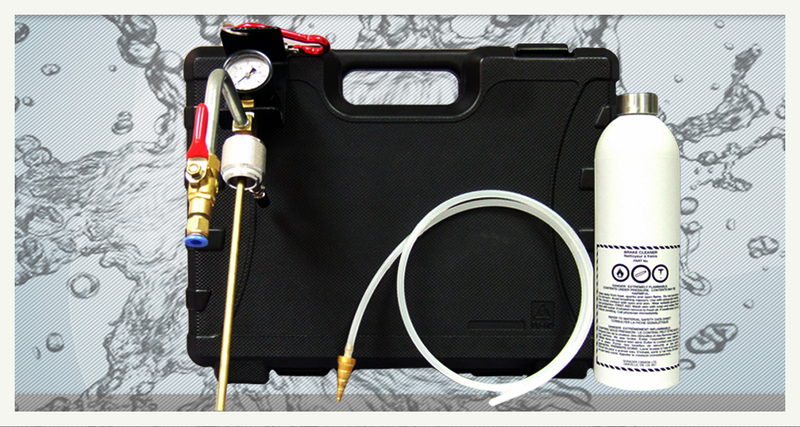 The accompanying gauge allows the technician to monitor the rate of fluid delivery and the speed of the engine. Cleans air intake, throttle body and intake valves. 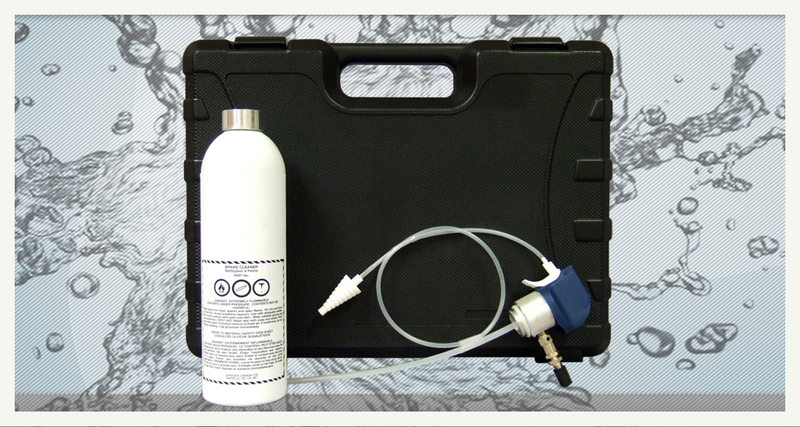 The light duty air intake cleaner is a simplified (fixed flow) intake cleaner. During the cleaning process the technician controls the engine speed to suit the flow of cleaning fluid delivered from the pressurized canister. Cleans air intake, throttle body and intake valves. The smoother the air and fuel flow through the air intake system, the more effective the combustion process. Hot wax, varnish and moisture directed by the PCV valve from the crankcase into the intake system allow the contaminants to cling to the surfaces of the intake manifold, intake runners and intake valves. Over time the contaminants disrupt the air-fuel flow an ideal ratio that can lead to a less effective combustion process and gradual loss of engine performance. The Proffesional engine fuel management service kit consolidates two key services into one standard easy to use delivery system. 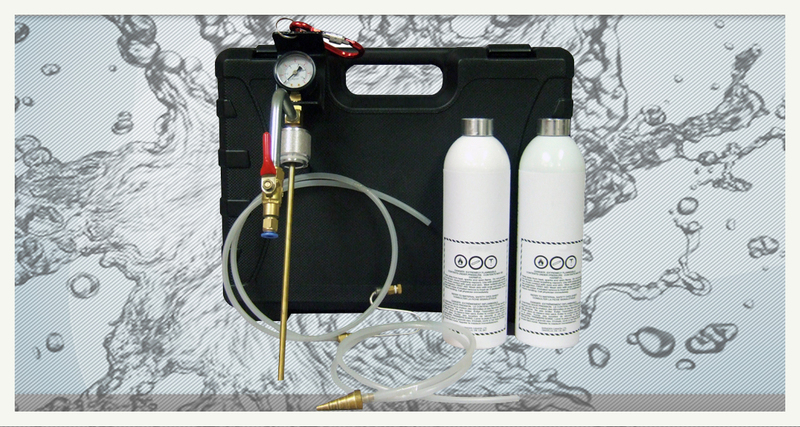 The kit provides cleaning solutions for carbon build-up and contaminated air intake systems. service requires the technician to drill a small hole in the intake tube to administer the air intake cleaning service. HOW CAN A DRIVEABILITY KIT HELP ? Most recent engine designs use a fuel management system referred to as Direct Injection. Unlike the previous EFI/MPI (Multi Point Injection) systems, the injector cannot contribute to cleaning the intake valve by spraying fluid across the back surface of the valve while entering the combustion chamber. As a result, the collected contaminants buildup harden, which can cause the valves to operate at a hotter than normal temperature and can contribute the creation of hot spots causing a pre-ignition condition.